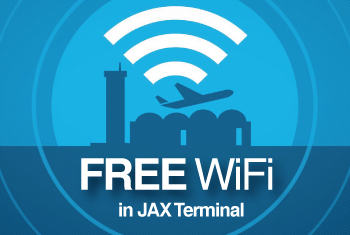 “We are excited about this new partnership with the Jacksonville International Airport and the way it will allow us to educate travelers about the growing issue of domestic hunger,” Second Harvest Executive Director Bruce Ganger said. Competing architectural firms will build their structures in the airport’s newly designed Connector Bridge April 30, 2012. Each design will consist of non-perishable food items, which will be donated to Second Harvest. The structures will remain on display through May 18. Passersby have the opportunity to vote for “People’s Choice” award via online voting, with a panel of local judges also awarding honors for best meal, best use of labels, structural ingenuity and juror’s favorite. Between 16,000 and 24,000 people a day will pass the structures during the three-week event, according to Debbie Jones, the Jacksonville Aviation Authority’s Community Relations Administrator. The exposure will give Second Harvest the opportunity to educate a larger audience about the changing face of domestic hunger on the First Coast, Ganger said. This year’s event is sponsored by the Jacksonville Chapter of the American Institute of Architects and the Society for Design Administration. The 10th Annual Canstruction? event was held at the Jacksonville Landing. Almost 2,900 pounds of food were incorporated into the designs, Ganger said. Over the years, the event has produced more than 50,000 pounds of food – or 350,000 meals – for hungry families. For more information about how to participate in this year’s event, please contact Julia Valleau at 904.536.8829 or e-mail Julia(at)lanearch(dot)com. Second Harvest North Florida is the oldest and largest program of Lutheran Social Services of Northeast Florida. LSS was founded in 1979 by area Lutherans and business leaders to fill gaps in services offered in the community for people in need. Second Harvest gathers food from local and national sources, shares these resources with more than 450 nonprofit organizations in 17 North Florida counties and helps thousands of people each year who are hungry or at risk of not having being able to provide food for themselves and their families. In addition to collecting and distributing food, Second Harvest serves children in after-school programs through its Kids Caf? and BackPack programs and in summer camps through its Summer Lunch program. It also takes Mobile Pantries filled with Family Boxes of food to people living in neighborhoods with the greatest needs. 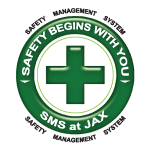 Call 904.730.8234 for more information about any of these programs and services. Based in Washington, D.C., the AIA has been the leading professional membership association for licensed architects, emerging professionals, and allied partners since 1857. With nearly 300 state and local chapters, the AIA serves as the voice of the architecture profession and the resource for our members in service to society. For more information, visit http://www.aia.org. Canstruction?, the community service charity of the Society for Design Administration, was founded in 1992 to help promote the design community and raise food for hunger relief efforts. It has grown steadily since then and last year 103 Canstruction? competitions were held around the world. Canstruction? is one of the largest internationally recognized food drives of its kind. For more information, visit http://www.Canstruction.com.